Thanks for the share. Your dad did an amazing job with the video. We loved you barking at the television. It was great to see the video. Have a wonderful day. This is Xena. 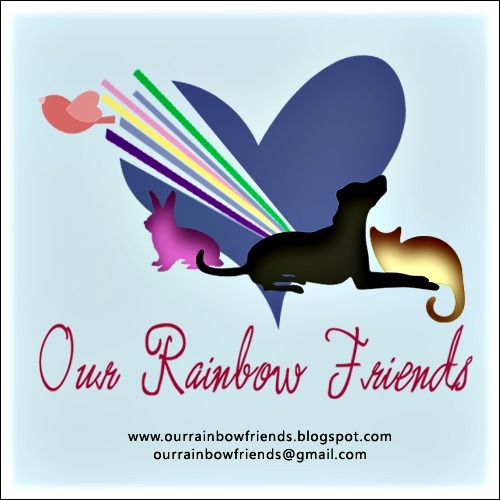 It was Angel Lexi in the video but Angel Lexi is gone to the Rainbow Bridge and willed her blog to me. A star then, shining even brighter now. Dad did a great job – how nice to have this video. Ah yes, our gorgeous Lexi going about her business with professional zip. Thanks for the memories. Yes, she certainly played her part well, both on stage and in real life. I miss her so much. Ha ha yes you are right that the video is great!!! Hi Morrie, I just saw your comment. I wish we could post more, but no one left in the house is a stage star like Lexi was. Lucy is afraid, but maybe when Xena gets a little older…thanks for your comment. What a great video. I found you on Siddharta Henry’s blog and am glad I did. I read a lot of cat videos but I can’t wait to show your blog to my sister-in-law as she and my brother have 3 dogs and she volunteers dog walking at our Humane Society plus finds home for strays. Anyway, the video was very uplifting. And Xenakis is soooo cute! Thanks so much! This is a video that my husband did for the church where he was head over the A/V department. Darn auto-correct. I know her name is Xena but maybe Xenakis is a cute nickname (all by computer accident), no? I thought maybe you were saying it in a different language, LOL. I end up saying Zizi a lot when I call her. Yes, she always was, and knew it. Mom and I are both so sad to read that Lexi left for the bridge before we could get to know her. At least we got to see her a little bit in her video. She was – and will always be – a star here on earth, and now she is a star in the heavens too. My Shih Tzu cousins are waiting for us on the bridge, so we will all meet up some day. But Lexi can meet them now. Bandit, Tabitha, Tuxedo, ScoobieDoo, Grizzle E. Bear, MeeToo and a tiny puppy who only stayed a couple of weeks first. Mom has been loving Shih Tzus for very many years, so she knows how hard your heart hurts when it time for any of the furbabies to go to the bridge. We are both very sorry for your loss. 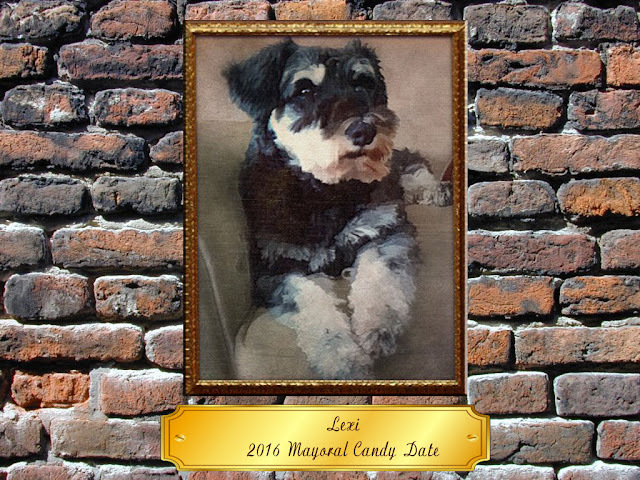 We read all about Lexi on that tribute, too, which made missing her even sadder for us, but I’ll bet it made the Mom and Dad feel a little bit better. We’ll stop back by to say hello to Lucy soon – right now it’s early in the morning (almost dawn) here, so we have to go to bed. You’re welcome, Amy, but it’s not really insomnia – it’s N-24 (Non-24 hour sleep/wake syndrome – when the brain insists that days are longer than 24 hours and set chronorhythms accordingly). When Mom’s up, so am I – so we are often wide awake when it’s dark here and just going to bed when the sun comes back. I wrote all about it on my November 24th N-24 Awareness Day post last year (get it? N-24 heh-heh). Sleep tight. Mom has a cold, so she’s already sleeping a lot right now. Maybe we’ll even get to bed before dawn. I just now saw your comment. I will go to your post soon, but maybe not right now just before bed. Thank you for your kind words. Great job your dad did making the video, Lexi, and you, of course, were magnificent as the star. We’re thinking of you lots Lexi. No, I am not getting better. I’ve heard you have dropped out of the Mayor race due to health issues. I hope it’s nothing serious and I will be keeping my paws crossed for you. Thanks Sully. It is very serious. Great idea to fake it til you make it 🙂 You are a cutie. Forgot 2 say – that last comment was from your new furriend, Louis Dog Armstrong! 🙂 BTW, the pic of me in my site is my headshot from my first performance a Toto. Lexi you are pawsome! And I rruff the message. It is so pawsitive! Hi Louis! Thanks so much. *blush* All of us here try to live by this message. It’s how I got to be Toto! Hi Speedy. Sadly, my acting career is over. I do love the stage and all forms of acting! Could you tell my Dad helped me? He always says to keep visualizing things for the best for everyone. He’s a good daddy. BOW WOW, you are a star, Lexi!!! Thanks, Chris. 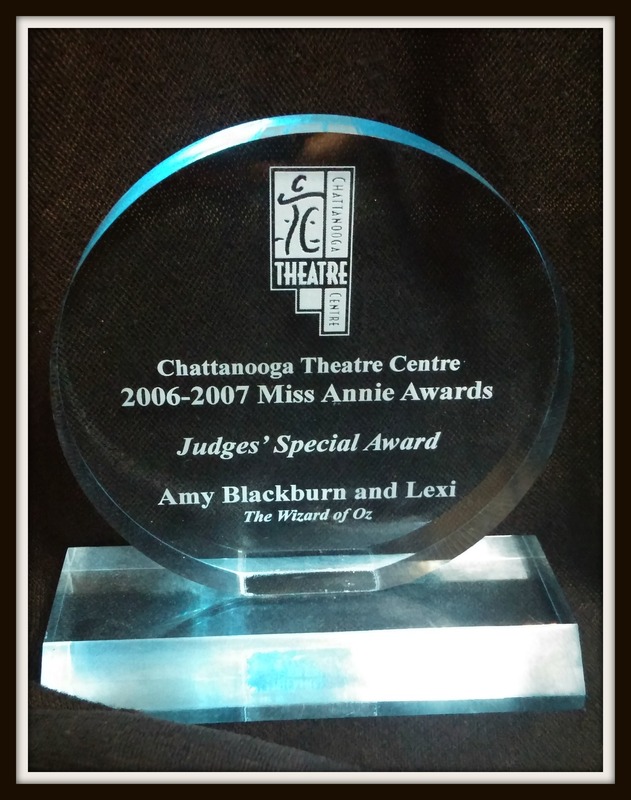 My acting days are over, but it is nice to remember. That was a great video. I think that your are an emerging star. next thing is to start handing out autographs. OMD TOTO… Ummmmm we mean LEXI…. you were the STAR of the Pawformance fur SURE. I am in transit but will check you out later today!! What? I am retired from performance. Haven’t I done enough? Oh, maybe you haven’t seen my other posts, BOL! What a pawsome video and SUCH wise words. May faith bring you only blessings in the coming days. Thanks, Abby. my tummy was too upset to eat early this morning, but I visualized my chicken and rice the whole way home from my vet appointment, and guess what? I could eat it when I got home! Such cute pup, thanks for the post! Te he. Yep. I even had my own dressing kennel! Thanks for stopping by our place and throwing your collar in the ring for mayor! It is obvious you are comfortable in front of the camera so we are assuming you will be airing campaign ads. We will be announcing all the candidates on the 18th! That was awesome Lexi, tell your dad he did a great job! Thanks, my friends, I sure will. Of course, it is easier for him when he has such easy material, BOL! Of course, that goes without saying! Oh Lexi….we watched your video over and over…we loved it! Now we can honestly say we know a video star! Well done my friend! Bark Bark Bark! *bush* I am very glad it entertained you. I am also a stage star! I put my hear into all my acting. you are my famous friend! And I meant to say my ❤ heart, not hear, BOL! *Smile* Thanks, Siddhartha Henry and LadyMum. You are very nice. When shee went thru her littul Librarry (aftur thee ‘dopshun event) … shee found her copy of “Siddhartha” by Hermann Hesse an shee reealized mee was the kittie boy fur her…..
Thiss iss thee truth Lexi…. My Mom was supposed to adopt one of my litter mates she had already pre-named Anna Belle Leigh, but she changed her mind and took me home instead. 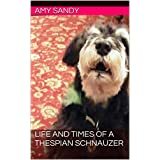 If you haven’t already read my In the beginning story, you can check it out by copying and pasting https://lexitheschnauzer.wordpress.com/about/( in something called an address bar (if you want). mee has been doin vishuallizashun since mee was a wee kitt an so sick!! Mee vishallized mee gettin well an mee gotted bettur aftur 3 long monthss. Then mee vishuallized gettin back to Lady maryellen an it werked….then mee vishuallized mee findin a new home an mee found LadyMum (or maybee shee found mee…mew mew mew). Mee then vishuallized mee wood beecome a Purrince an here mee iss a Purrince now!!! Good to hear from you Purrince Siddhartha Henry. You certainly are a prince among cats! I am glad you discovered visualization and made it work for you! Did you know mee LadyMum (now) did visuhallizashun to bring mee to her….thiss iss powerfull stuff Lexi!!! Gee, thanks! I am glad you enjoyed it. 🙂 My Daddy made it for an intro to his church’s Sunday service that was played on the internet. Wow, Lexi, looking good! I wish I was a star too. Good job! Thanks, Sookie. Mom says that as long as we can make someone smile, we are all stars! This video is brilliant! I am inspired! Visualization is cool. I will take care of the snack taking up room, don’t worry about that. 🙂 But you can’t touch me with your feet during the night or I will get up and leave. That’s why I move around so much at night.